The histories and cultures of the Philippines and United States have been inexorably linked for over 100 years, in the beginning under less than harmonious circumstances, yet culminating in liberation and ultimately a celebration of democratic independence. Americans have no closer affinity with peoples in Asia than the Filipinos, who today comprise 1.6% of the population of the United States, at just over 4 million. Any American who has spent time in the Provinces, away from the island resorts or Manila hotels, will describe a gracious kindheartedness of the sort that is rarely seen anywhere else on the planet. Filipinos fought side-by-side with Americans during World War II. Had it not been for their bravery and courage while suffering indescribable horrors at the hands of the Imperial Japanese, Southeast Asia and the world would look very different today. We have shared blood, sweat and tears with Ilocanos, Pampangans, Cebuanos, and Mindanaoans. Americans owe the Philippines a debt of gratitude that can never be repaid. 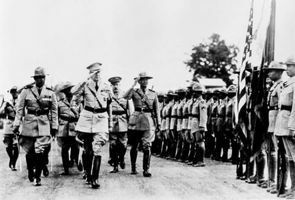 acArthur passed through Del Monte in North Central Mindanao on his way to the Down Under in early March to join up with his aviators, but nearly 1000 US and Filipino infantry troops who remained behind were captured two months later. These unfortunates were interned at the hastily-prepared Casisang POW Camp, located near the Malabalay airfield on Sayre Highway. Some high-ranking survivors of the Bataan Death March and the future First President of the Philippine Republic, Dr. Manuel Roxas, joined their fate in early May. 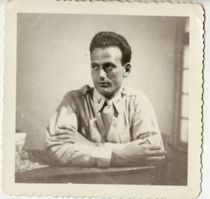 Late that month, Reg received orders to locate and map the POW camp from information related by villagers in the area. After 3 weeks of trekking around volcanoes and endless miles of pineapple fields (often on their hands and knees to avoid being spotted by Japanese patrols), Reg Wagner and his group arrived at a hilltop where they were able to see Casisang clearly enough to begin counting the number of prisoners and assess enemy strength. 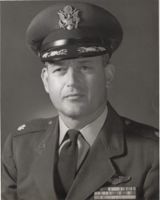 Reg survived the war and went on to retire as a Colonel in the US Air Force Strategic Air Command’s Electronic Countermeasures “Old Crows” in 1965. Throughoutthe rest of his life he remained in contact with his old friends and colleagues in the Philippines, traveling there frequently via Clark Air Force Base to assist in disaster relief. He died in 1970 after 5 years as an executive at Boeing in Wichita, Kansas. Robert T. Wagner arrived in Subic Bay in May of 1975 as a young US Marine, just after the evacuation of Vietnam. Having been stricken with latent Malaria, heremained in the Philippines when his unit returned to Camp Pendleton, California. After recovery, he took advantage of his unique “limbo duty” status, receiving flight training at Cubi Point NAS and exploring the country. He was later assigned to an Inter-Forces Advisory Unit to the Philippine Marine Brigade during their counterinsurgency operations in Western Mindanao, most notably on Basilan Island, until late 1976. 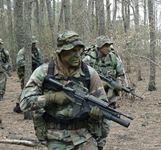 Upon returning to the US, he joined 2nd Force Recon Company (2nd FSSG) and attended a series of special operations schools, after which he was sent to Beirut, Lebanon for more than a year. 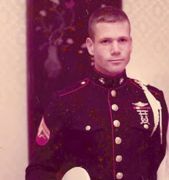 By the time of his separation from the Marines in 1981, he had returned to the Philippines on four additional occasions, describing it in letters to friends and relatives as a “troubled paradise, yet paradise nonetheless”. His post-Marine years were taken up obtaining degrees in science and law while working in Europe, Africa and South America for overseas and US-based medical devices producers. In 1990, while living in Germany, he founded AEGIS, a regulatory consultancy that provides research, testing and approval services for both private industry and government entities, such as the United States Food and Drug Administration. He continues today as its CEO. In early November of 2010, he made the long-planned pilgrimage to the coordinates listed on the original report his father Reg had made in 1942 that identified the location of Casisang POW Camp. He was surprised to find that the Japanese Camp Commandant’s headquarters had, in fact, originally been a school, then revitalized as such again after the war in the form of Casisang Elementary. 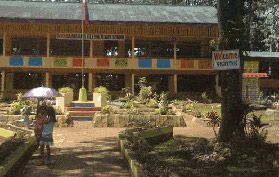 When he climbed the steps to the Principal’s office to introduce himself and relate the story of his familial connection to the place, he was deeply struck by the primitive state of the facility and glaring poverty suffered by the children, yet highly impressed and motivated by the spirit exhibited in the teachers and smiles on the kids’ faces. 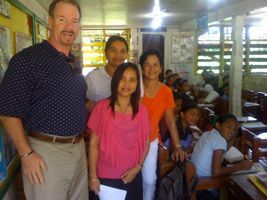 As he and his Driver later departed down Sayre Highway for Davao, “Mister Bob” – as the kids had happily called him – looked back at the school and knew how the rest of his life was going to be spent.